Linnet MacDonnell was the youngest of seven sisters, and not the family beauty. With her flame-bright red hair, sharp tongue, and strange gift of second sight, no man wanted her. But the devil would take her. Bartered as a bride to her father's long-sworn enemy, the nobly born Highlander, Duncan MacKenzie of Kintail, she had no choice but to enter a marriage with a man rumored to have murdered his first wife and said to possess neither heart nor soul. 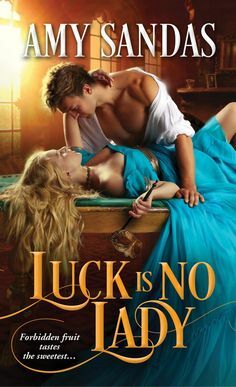 Forbidding and proud, Duncan MacKenzie wanted only one thing from his new bride -- to use her special gift to determine if young Robbie was truly his son. 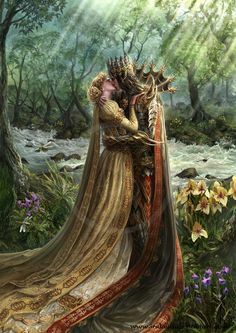 He never expected the MacDonnell lass to stubbornly follow her heart, chase away the darkness in his castle with light and laughter, and ignite a raging fire in his blood. How dare she defy him, and tempt a devil like him to feel what he feared most of all --- love! When Linnet MacDonnell was the youngest in her family, but now her father has decided to give her to Duncan MacKensie, a enemy to her father, as wife, despite her protests to the contrary. Throughout her young life, she is spirited but also has a gift for a second sight, which has prevented her from any man from wanting her, except for Duncan MacKensie who needs her gift more than he needs her, but is willing to marry her to know certain truths. At first Linnet is nervous around her new husband, who has made it clear he only needs her for her sight. Duncan MacKensie, after being betrayed, has doubts about his son being truly his son, so he needs the talent of Linnet to know the truth. When Linnet knows the truth behind Duncan desiring her for a wife, so knows she needs to get Duncan and his son Robbie to connect again once more, but she knows that it will much harder than she will ever realize, because she starts to realize that there is a lot more to Duncan than her first impressions of him, and knows that she could be falling in love with the man who has captured her heart. I found Devil In A Kilt to be the kind of historical romance that I desperately fall in love with. I just love Scottish Historicals, and this one was filled with adventure, passion and love. We have Linnet who is loved by all of her brothers, but her father would do anything to be rid of her, so when he barters her into marriage with his sworn enemy, she yearns for love and a place that is truly home, but knows that she may never find such a place, until she finds herself married to the Highlander Duncan MacKenzie, who just wants to use her for her gift. But when passion flares between them, she knows that there is a whole lot more potential than she ever realized would happen. Duncan after being betrayed, has drifted away from his son Robbie, whom he doubts was ever his son, but is desperate to know the truth. So when he married Linnet, he views her as a means to a end, however he never expected Linnet to be so beautiful and passionate, and finds the ice around his heart melting, both in her and in Robbie. I found this to be such a delectable romance, that I couldn’t get enough of it. The plot, the characters, the emotions conveyed so vividly, wraps this lovely scottish romance into a gem of a read!! !